This day is time to said good-bye to Jeju Island. Our trip at Jeju Island is already ended with the great nature memories. I’m feeling so sad to said good-bye to Jeju Island. We have to get ready with our luggage bag at lobby hotel around 6 am because we have to take breakfast at our hotel before go to Jeju International Airport on 6.45 am. I’m feeling hard to said good-bye to Jeju Island after 3 days 2 nights trip at Jeju Island. This island so beautiful and its still have a lot place to visit. 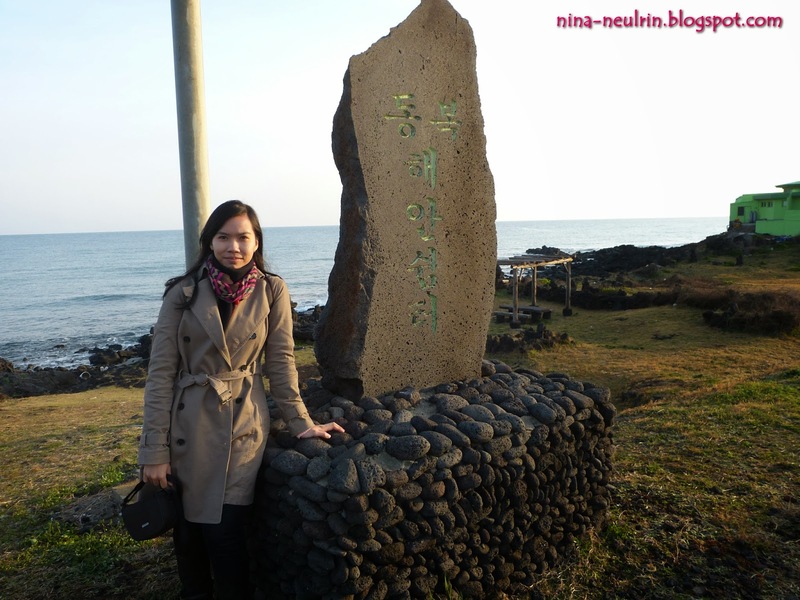 For travel 3 days and 2 nights at Jeju Island is not enough to me, because I want to visit more places at Jeju Island. 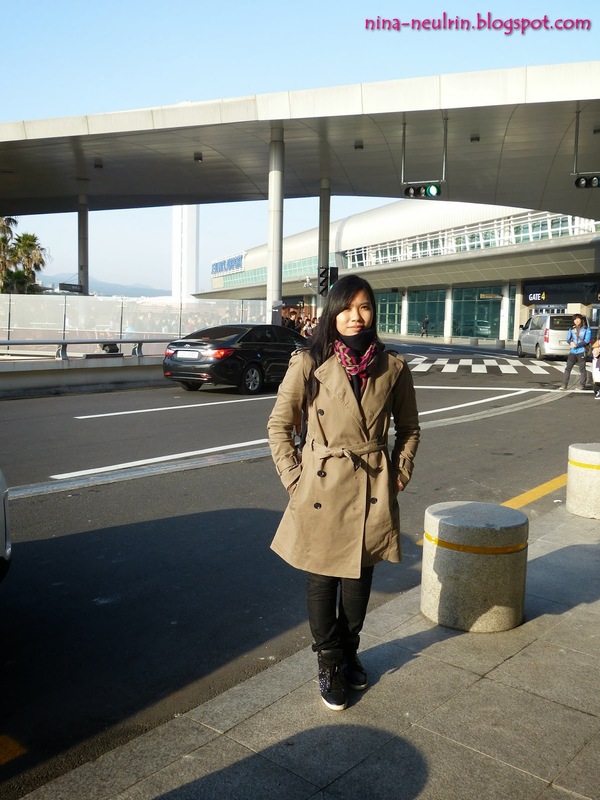 Some days, I will go again to Jeju Island as free and easy traveler because I already know how to go there by myself. Our flight to Gimpo Airport is on 8:30 am by Korean Air; and we have to get ready at Jeju International Airport around 7:30 am. We take flight from Jeju International Airport to Gimpo Domestic Airport, we arrive safely and we straight go to eastern area are around area the provincial capital of Gangwon-do. 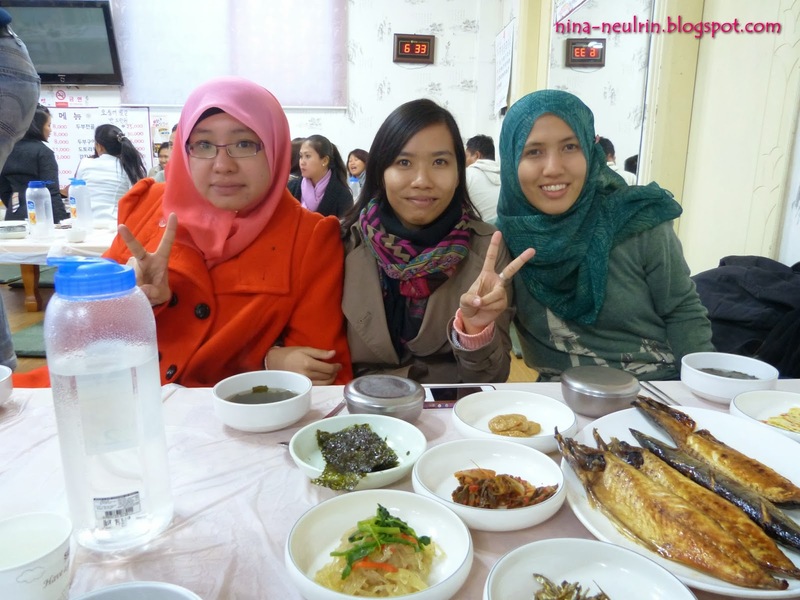 We go to Chuncheon by bus from Seoul and its take a few hours to arrive there. 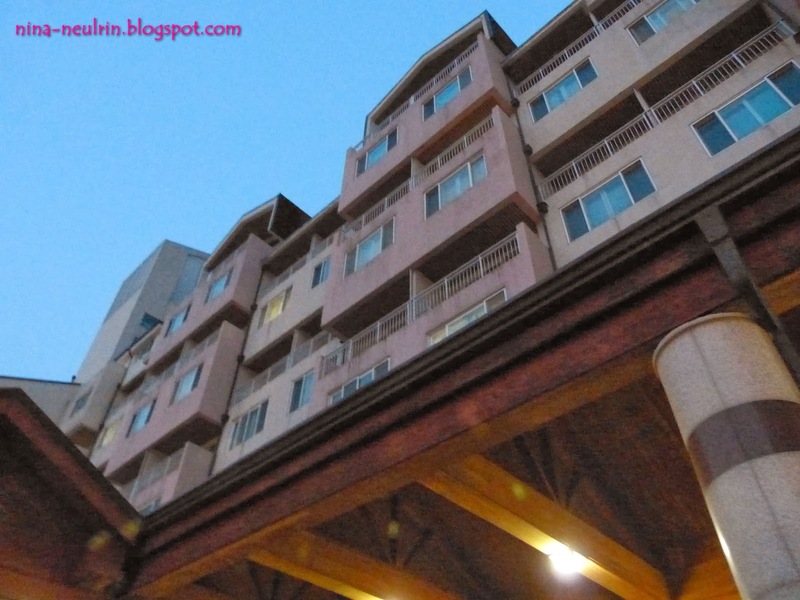 Chuncheon have so many places to visit, including the famous place of Namiseom Island or known as Naminara Republic. That why, we can saw our national flag (Malaysia flag) at Namiseom Island, together with South Korea’s national flag. Actually, not only our national flag at Namiseom Island but many country national flag too have at Namiseom Island. I just got information from our tour guide that Korean people love Malaysia and they also learn about Malaysia cultural. Their like us too – we learn their cultural and at the same time they also learn our cultural. If they're planning to go vacation, they will choose “Malaysia” as their destination. Actually, Namiseon Island is not actually the island at the ocean. It’s the island in the big lake at Chuncheon area. 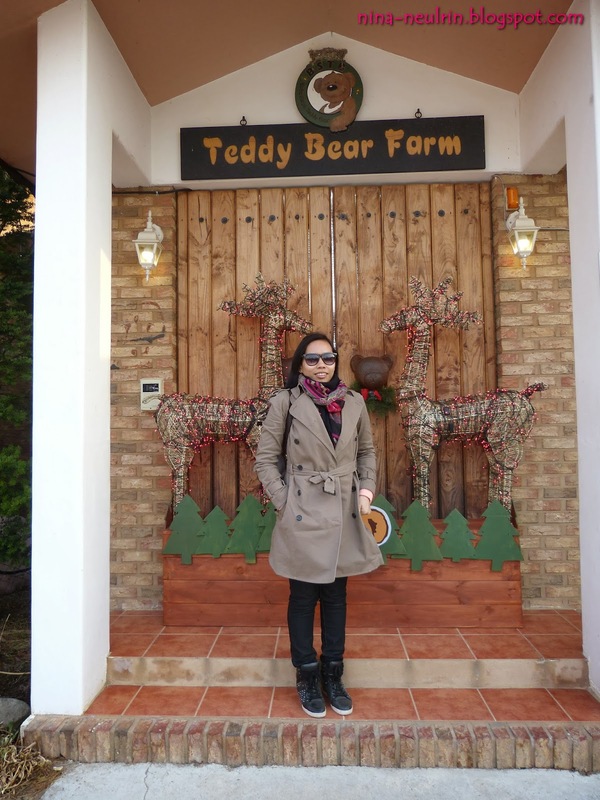 Namiseon is where the mega hit Korean TV drama “Winter Sonata” was filmed. I can relive the memories of the drama by walking along the tree-lined path featured in the most memorable scene of the drama. I also take lunch at restaurant that actor and actress drama of “Winter Sonata” take their lunch during filming Winter Sonata drama. The famous meal at this restaurant is “Kimchi Fried Rice” and it’s so delicious. The Kimchi Friend Rice is come together with fishcake soup. After lunch, I walk around the island and I found MBC studio at Namiseom Island. I get the chance to take some picture around the studio and some of crews MBC too. Not too surprised, I meet band crew in ferry and he so handsome to me. He so nice and supporting; but so bad, I can’t remember his name’s. This island not so big but many site locations filming Korea’s drama of “Winter Sonata” – its so suit to couple and new bird married couple to come at Namiseon Island. I can say that this place so romantic and I dream to come here with my husband in future. HihihiAmong 3 – 5 place of site filming location of “winter sonata” drama at Namiseom Island, I can find it but the famous of rock icon actress and actor in “Winter Sonata” I can’t find it. But I still feeling happy to visit this place and I love to come at Naminara Republic. 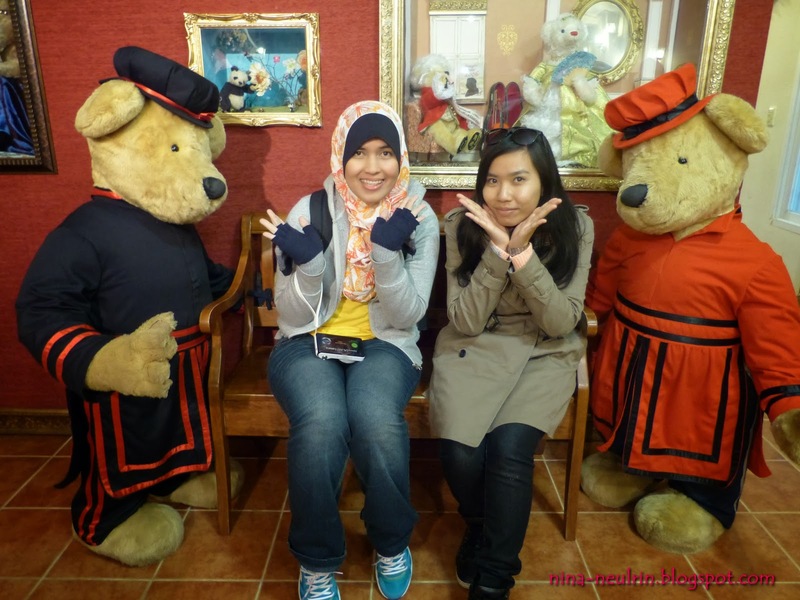 Then, we go to Teddy Bear Museum before we headed dinner. Along the way to go Teddy Bear Museum, I can see snow around the mountain area. Our tour guide said; in this area snow still have it because this place is mountain area and at this place only have 2 seasons, which is winter and summer. So we can see snow until month May, if we lucky. Of course, Teddy Bear Museum is full with Teddy Bear. It’s so cute to me and has a lot of fun at Teddy Bear Museum. 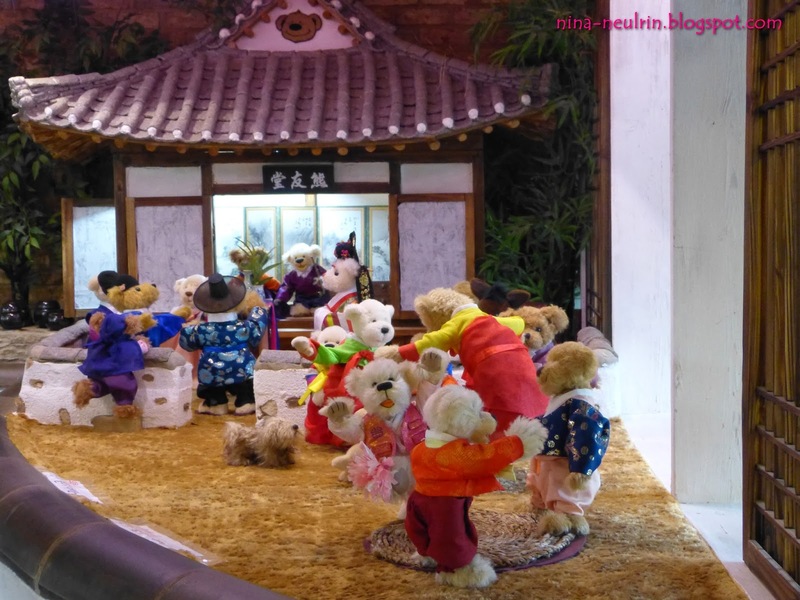 This museum is quite small but every corner in this museum full with Teddy Bear that follow with different themes and cultures; but if want to buy Teddy Bear at here, that so expensive to me. Just make your best choice. 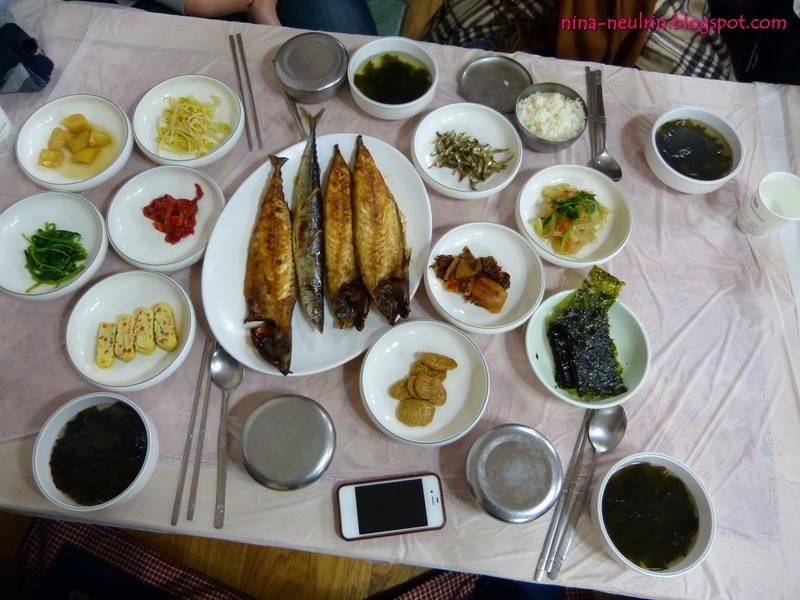 Here, our dinner at Gangwon-do Province. It’s quite delicious to me and I love it!! The temperature is so cool. To me, it is almost 2-5°C. Oh, yes! Outside this restaurant is having snow too but not too much. 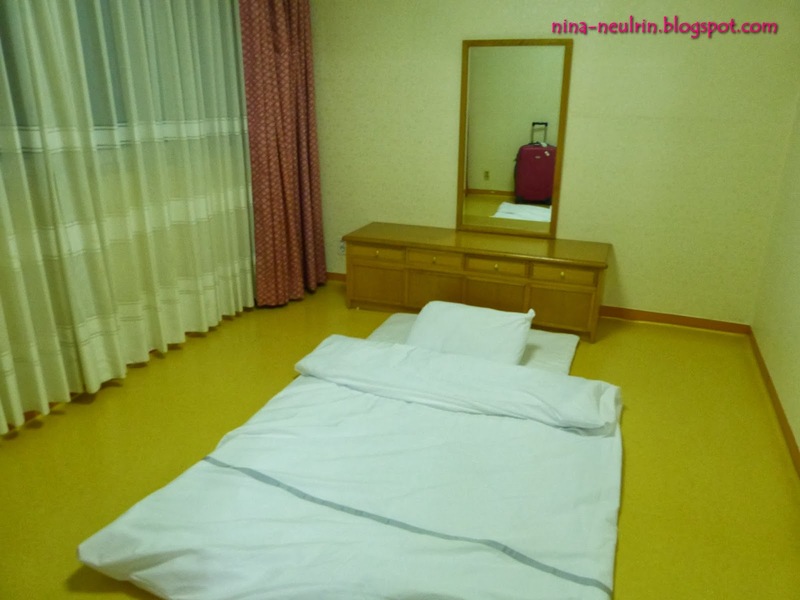 This time we get the experience of traditional style bed room in Korea, which is sleeping on the floor. It’s so nice and warm on the floor. I can feel like at traditional village Korea when I sleep on the floor. The bed is nice and comfortable. I had the nice sleep using the traditional style bed room. At the same time, I feel like in Korean famous variety show “Family Outing”. Here, my story of day 4 during my vacation. Enjoy your reading..